Yet another upcoming colorway of the Nike SB Zoom Stefan Janoski has surfaced. We've already seen several upcoming colorways of the Nike SB Zoom Stefan Janoski, here's a look at a simple colorway that will be available this holiday season. They make use of a predominantly team red suede upper, along with rolled leather edges and a Swoosh covered in black. Black laces provide further contrast, along with the usual white vulcanized sole below. 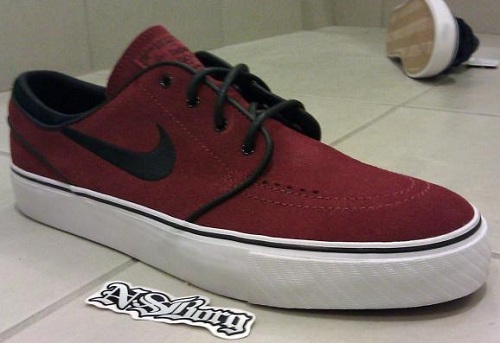 Look for this 'True Red' colorway of the Nike SB Zoom Stefan Janoski to release this Fall.